Bob Buford is a cable-TV pioneer, social entrepreneur, author, and venture philanthropist. He co-founded Leadership Network in 1984, became founding chairman in 1988 of what was initially called The Peter F. Drucker Foundation for Nonprofit Management, and popularized the concept of Halftime through several books he authored. Bob is a graduate of the University of Texas at Austin and of the Owner Managed Program at Harvard. He has played active roles in Young Presidents’ Organization and World Presidents’ Organization and serves on the board of the Hauser for Nonprofit Organizations at Harvard Center Business School. In the fall of 1999, Bill Pollard of ServiceMaster, Nan Stone, former editor of the Harvard Business Review, and several other people agreed that it was vitally important to preserve the writings and management ideas of Peter Drucker for the future leaders of business and nonprofit organizations. In connection with Claremont Graduate University, The Drucker Institute was created. Buford served on the Board and in 2008 was appointed Chairman of its Board of Advisors. Bob was the recipient of Christian Management Association’s 2005 Christian Management Award. 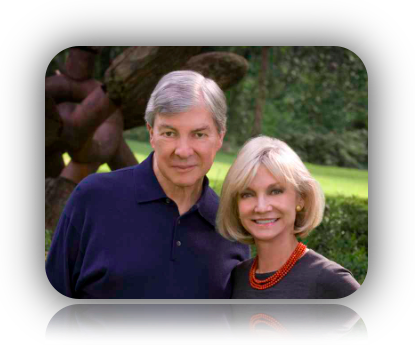 Bob and his wife, Linda, live in Dallas. Finishing Well: What People Who Really Live Do Differently!